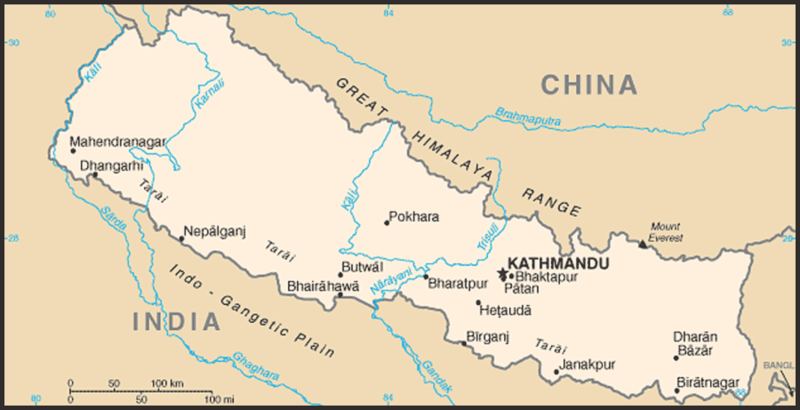 Cities: Capital: Kathmandu (3 districts) (pop. 2.2 million est.). Other cities — Biratnagar, Patan, Pokhara, Birgunj, Dharan, Nepalgunj. Nationality: Noun: Nepali (sing.) or Nepalese (plural). 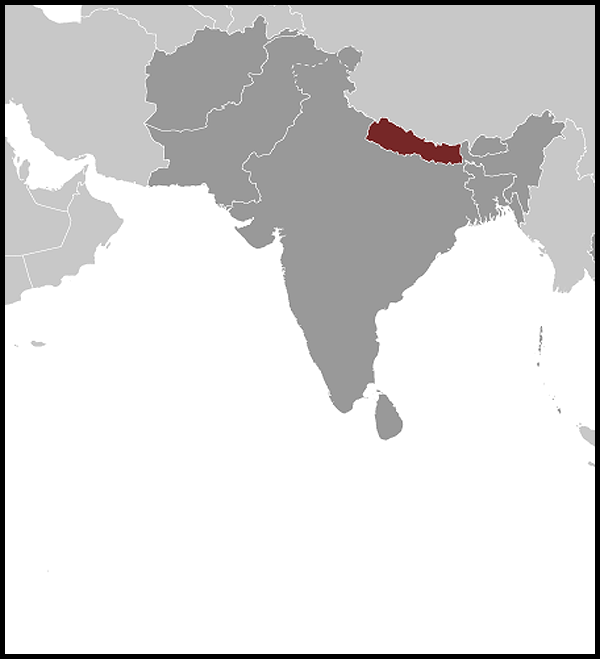 Adjective — Nepalese or Nepali. Education: Years compulsory: none, although education is free through grade 8. Attendance — primary 84% (86% male, 82% female), secondary 43.5% (46% male, 41% female). Literacy — 57% (among youth age 15-24). Health: Infant mortality rate (2008 estimate) — 39 deaths/1,000 live births. Life expectancy — 67 years. Branches: Executive: President (head of state), Prime Minister (head of government). Legislative — The Constituent Assembly is a unicameral Parliament, consisting of 601 members; 240 members were elected through a direct electoral process representing single-member constituencies across the country; 335 members were nominated from party lists through a proportional representation system; and 26 were nominated by the cabinet as representatives of ethnic and indigenous communities. Judicial — Supreme Court, 16 appellate courts, 75 district courts. Political parties: United Communist Party of Nepal-Maoist (UCPN-M), formerly known as the Communist Party of Nepal-Maoist (CPN-M), (on the U.S. terrorist exclusion list); Nepali Congress (NC); Communist Party of Nepal-United Marxist Leninist (UML); Madhesi People's Rights Forum (MPRF); Madhesi People's Right Forum-Democratic (MPRF-D); Tarai Madhes Democratic Party (TMDP); Sadhbavana Party (SP); Rastriya Prajatantra Party (RPP); and 17 others. Agriculture (32.8% of GDP): Products: pulses, rice, corn, wheat, sugarcane, jute, root crops, milk, meat. Cultivated land — 25%. Industry (14.4% of GDP): Types: carpets, textiles; small rice, jute, sugar, and oilseed mills; cigarettes; cement and brick production. Services (52.8% of GDP): Types: tourism. Trade (2009): Exports: $849 million: clothing, pulses, carpets, textiles, juice, pashima, jute goods. Major markets — India, United States, Bangladesh, Germany. Imports — $5.26 billion: petroleum products, machinery and equipment, gold, electrical goods, medicine. Major suppliers — India, China. Trade deficit: $4.56 billion. King Mahendra was succeeded by his 27-year-old son, King Birendra, in 1972. Amid student demonstrations and anti-regime activities in 1979, King Birendra called for a national referendum to decide the nature of Nepal's government — either the continuation of the Panchayat system with democratic reforms or the establishment of a multiparty system. The referendum was held in May 1980, and the Panchayat system won a narrow victory. The King carried out the promised reforms, including selection of the prime minister by the Rastriya Panchayat. A 10-year Maoist insurgency — punctuated by cease-fires in 2001, 2003, 2005, and 2006 — began in 1996. After King Gyanendra announced the reinstatement of Parliament on April 24, 2006, the Maoists declared a 3-month unilateral cease-fire on April 26, 2006 which the new Koirala government reciprocated on May 3, 2006. The Seven-Party Alliance (SPA) and the Maoists signed five agreements, culminating in the comprehensive peace agreement of November 21, 2006, effectively ending the insurgency. However, Maoist violence and intimidation continued in spite of the agreement. Five Maoist ministers were appointed to the Nepali Congress-led cabinet on April 2007. The ministers submitted their resignations on September 18, 2007 over the issue of declaring Nepal a republic and adoption of fully proportional representation system for the Constituent Assembly election. After compromise agreements on these issues were reached — having the interim Parliament declare Nepal a republic but letting the CA implement the measure, and adoption of a mixed electoral system — the constitution was amended again and the Maoist ministers were reinducted on December 31, 2007. Twice deferred, Nepal's Constituent Assembly election was finally held on April 10, 2008. None of the parties succeeded in getting a simple majority in the CA. The Communist Party of Nepal-Maoist won 218 out of 575 elected seats, followed by the Nepali Congress with 109 seats, the Communist Party of Nepal-United Marxist Leninist with 103 seats, and the Tarai-based Madhesi People's Rights Forum with 50 seats. Six constituencies needed to hold by-elections, five due to one candidate having won two directly elected seats and one due to the newly elected President resigning his seat. The appointed seats were distributed across the parties in the following manner: Maoist 9, NC 5, UML 5, MPRF 2, SP 1, CPN-Marxist Leninist 1, People's Front Nepal 1, Nepal Workers and Peasants Party 1, and TMDP 1. Since political reform began in 1990, some progress has been achieved in the transition to a more open society with greater respect for human rights; however, substantial problems remain. Poorly trained police sometimes use excessive force in quelling demonstrations. In addition, there have been reports of torture during detention and widespread reports of custodial abuse. In 2000, the government established the National Human Rights Commission (NHRC), a government-appointed commission with a mandate to investigate human rights violations. However, the government continues to stall in implementing the commission's recommendations and has not been able to enforce accountability for recent and past abuses. The King's February 2005 dismissal of the government, subsequent imposition of emergency rule and suspension of many civil rights — including freedom of expression, assembly, and privacy — was a setback for human rights in Nepal. During this 3-month period, censors were deployed to major newspapers, and many political leaders were kept under house arrest. The King's government restricted the media from publishing interviews, articles, or news items against the spirit of the royal proclamation of February 1, 2005 or in support of terrorist or destructive activities. The reinstated government, led by Prime Minister Koirala, reversed these decisions in May 2006. The interim constitution promulgated on January 15, 2007 ensured unrestricted freedom of expression and made the NHRC a constitutional body. Nepal maintains an embassy (http://www.nepalembassyusa.org/) in the United States at 2131 Leroy Place, NW, Washington, DC 20008 (Tel: 202-667-4550; fax: 202-667- 5534). The Nepalese Mission to the United Nations is at 300 E. 46th Street, New York, NY 10017 (Tel: 212-370-3988/3989). 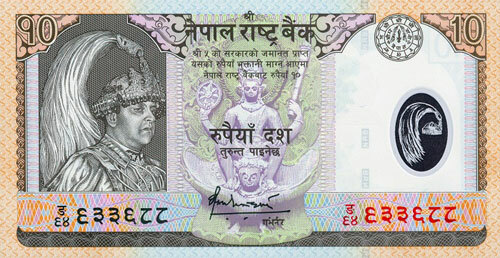 Nepal posted a balance of payments surplus of $40.4 million in 2010-2011, recovering from a 2009-2010 deficit of $48.5 million. The country receives substantial amounts of external assistance from India, the United Kingdom, the United States, Japan, and the European Union (EU). Several multilateral organizations — including the World Bank, the Asian Development Bank, and the UN Development Program — also provide significant assistance. On April 23, 2004, Nepal became the 147th member of the World Trade Organization (WTO). Swift rivers flowing south through the Himalayas have massive hydroelectric potential to service domestic power needs and growing demand from India. Only about 1%-2% of Nepal's hydroelectric potential is currently tapped. Several hydroelectric projects, at Kulekhani and Marsyangdi, were completed in the early to late 1980s. In the early 1990s, one large public-sector project, the Kali Gandaki A (144 megawatts — MW), and a number of private projects were planned; some have been completed. Kali Gandaki A started commercial operation in August 2002. The most significant privately financed hydroelectric projects in operation are the Khimti Khola (60 MW) and Bhote Koshi (36 MW) projects. Since 1951, the United States has provided more than $1.2 billion in bilateral development assistance to Nepal. In recent years, annual bilateral U.S. assistance through the U.S. Agency for International Development (USAID (http://www.usaid.gov/index.html) and the Department of State has averaged $54 million. U.S. foreign assistance programs support Nepal's peace process and transition to democracy, and promote long-term development through agriculture, health, family planning, environmental protection, and vocational education programs in Nepal. The United States also contributes to international institutions and private voluntary organizations working in Nepal. The Peace Corps temporarily suspended its operations in Nepal in 2004 due to increasing security concerns, and officially terminated its Nepal program in 2006. The U.S. Embassy (http://nepal.usembassy.gov/) in Nepal is located in Maharajgunj, Kathmandu (Tel:  (1) 400-7200; fax:  (1) 400-7272).